Echoes the distant cries of a mother to her 16-year-old daughter, with reference to the plate of Eggs Benedict she bought at a fancy cafe during lunch. Why do kids these days spend so much? You can almost hear the endless nagging of most Singaporean parents. Much is indeed, subjective. But, by the looks of how many youths hold $1000 iPhones and don $300 Limited Edition Adidas sneakers, it is hard to deny that youths all around are spending more than they technically have. Do the photos above make you go “OMG, need”? If your answer is ‘yes’ or ‘already got them’, read on. Clothing trends these days are no longer bermudas you can get from Bugis Street or styles you can simply replicate with cheaper alternatives. The trends these days make brands matter a lot. For example, you can own a sweater but it somehow becomes a fashion statement when there’s that small “Champion” logo sitting at the end of your sleeve. The same applies to the Ralph Lauren badge sewn onto a baseball cap, Abercombie and Fitch stamped on that white shirt, or Adidas Originals branding your pair of sweatpants. When white shoes were trending, it wasn’t about just white shoes, it’s at its cheapest $70 Superga sneakers or the latest $280 Adidas NMDs. No-logo doesn’t quite cut it nowadays, and it doesn’t help that trend-setters online are clad in Supreme and using $80 Urban Decay Eyeshadow Palettes. Cafe food or else, good-looking food have been an enduring trend since ages ago. Almost everyone has become a food photojournalist with their high-pixel phone cameras, well-equipped with filters that can make your beef burger look like a million bucks. People are kind of obsessed. These days, what contributes to the highly-priced trend of foodstuff include food at carnivals and hipster events like Flashbang, the Prudential Carnival, Singapore Night Festival and so on. It is not only food prices that have increased but also our taste in food, shaped by trends. It’s not a surprise then, that buying meals at $20 has become normalized. Lunch gatherings with friends and weekend dates run up to $30 if you treat yourself an extra latte. $7.. $10.. $20, depending on distance, spent on each ride perhaps every day. The emergence of Uber and Grab these few years have overtaken Singaporean transport habits completely. The convenience of hailing a taxi nowadays is done with a tap of a button and at lower costs than before. Those discounts and $5 offs have successfully captured us, customers. I myself have succumbed to the convenience of Grabbing almost everywhere with their attractive $4 Off discounts. We asked the 10 students to show us their expenditure breakdown with the Seedly App and it states that Taxi and Car services actually amount to an average 20% of their monthly spendings. This essentially means that out of $300, $120 is spent on grabbing around every month! 4/10 of the students we asked mentioned that the money spent on drinks and parties are to blame for their monthly high expenditures. Club covers are expensive but drinks are worse. Party once a week and that’s pretty much the end of your savings. As a young adult with plenty of friends, it is important to know when to say no to these high-cost social gatherings. Some of the lack of prudence in this generation can be attributed to parents who just love their children too much. One of our interviewees remarked that when she bought her Professional Camera, a DSLR, her parents said that they would pay 80% of it if she would fork out the rest of the money. Though with good intentions of not spoiling a child, this probably isn’t the best way to teach kids the value of money. When parents sponsor big-ticket items, it leads to a mentality that children have enough spending power for something they technically cannot afford by themselves. How Much Are Kids Saving? We asked this question to the 10 students we interviewed and what we got were amounts as low as $50. This essentially means barely any savings and complete dependence on monthly allowance or pay. Can we really blame young people for their spending habits when the trends these days all point towards items with high price points? The answer is an endless debate. But what I know youths can do is to be more aware of where their money goes, and plan their finances a bit better. Spending is a conscious decision, like whether to leave the house earlier for school ($1) or to take a cab ($15). These small things do make a difference. 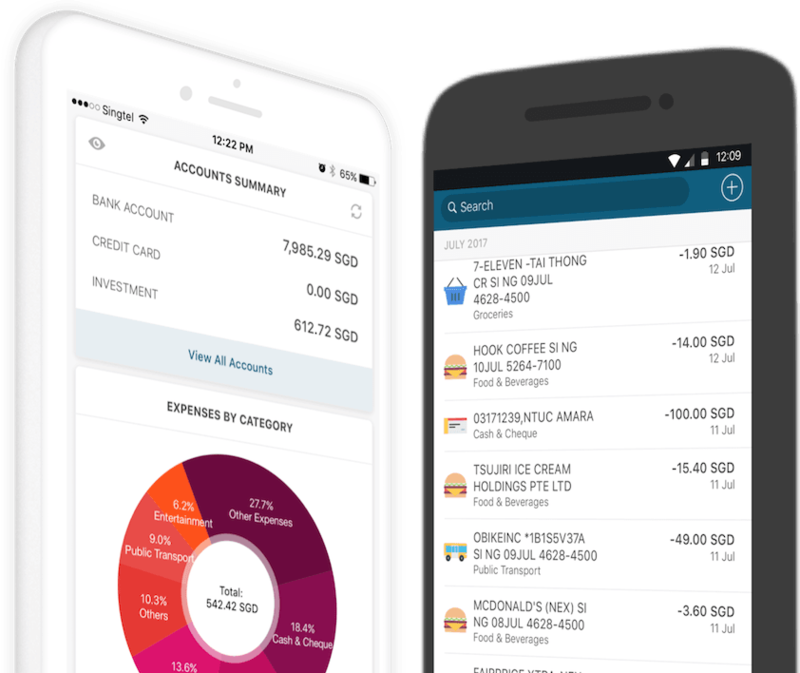 You can start with money tracking apps or simple finance-tracking excel sheets that help monitor your personal expenses with convenience, tracking your spending habits and transactions.